If you are looking for a little chair or desk for your little one to play on then you have to see this Cars chair desk. 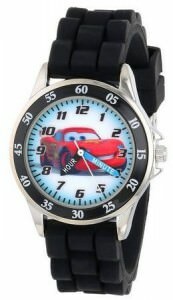 If you child loves cars and Lightning McQueen then this is what you need. 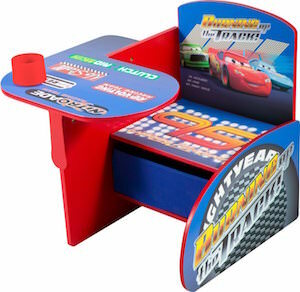 The chair desk is one piece (when assembled) so that your kid does not have to worry about things and it red and blue and has lots of decals on it based on the Cars franchise and yes of course there is one of Lightning McQueen racing on it to and to make it even better the chair has a basket under it so that you can store some of your child’s toys out of sight.